In Blackpool 2016 we launched the Katya Jones limited edition range of our popular &apos;Ladies Brogue&apos; design. 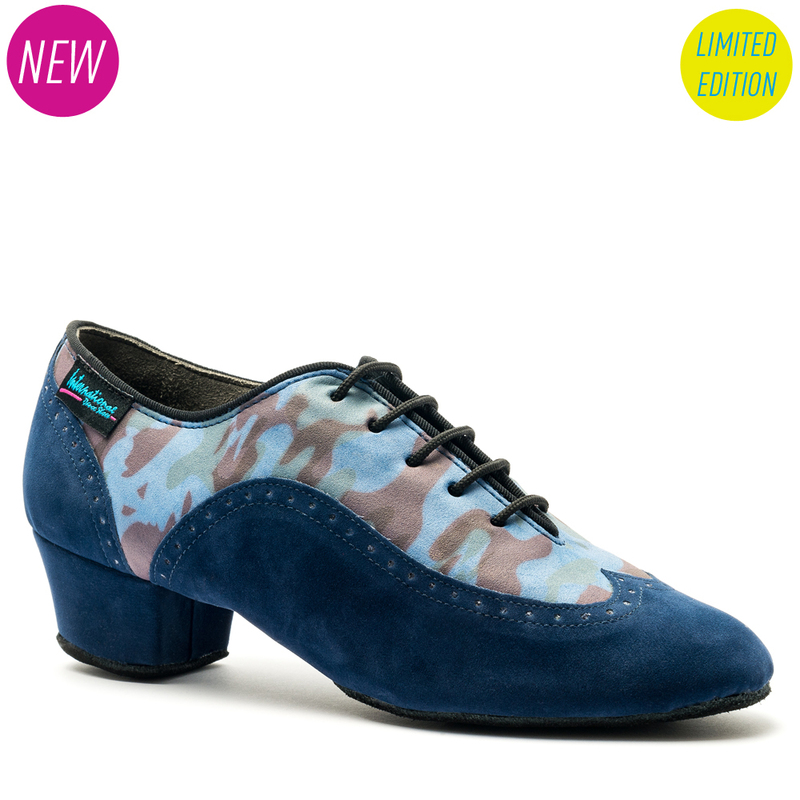 This is our Navy/Blue Camo version: an incredibly eye-catching teaching and practice shoe! This shoe is Split-Sole and with it&apos;s cushioned padded support throughout, it offers unrivalled comfort, stability and super flexibility which makes it perfect for a shoe that’s worn more than any other shoe for many dancers. Perfect for the long hours spent teaching and practicing. This shoe is only available in the sizes here and once they&apos;re sold out then that is it - truly Limited Edition! The pairs available online are the only pairs we&apos;ll ever make and once they&apos;re gone, they are gone!.